Hey you guys! Hope you had an awesome weekend and Sunday. 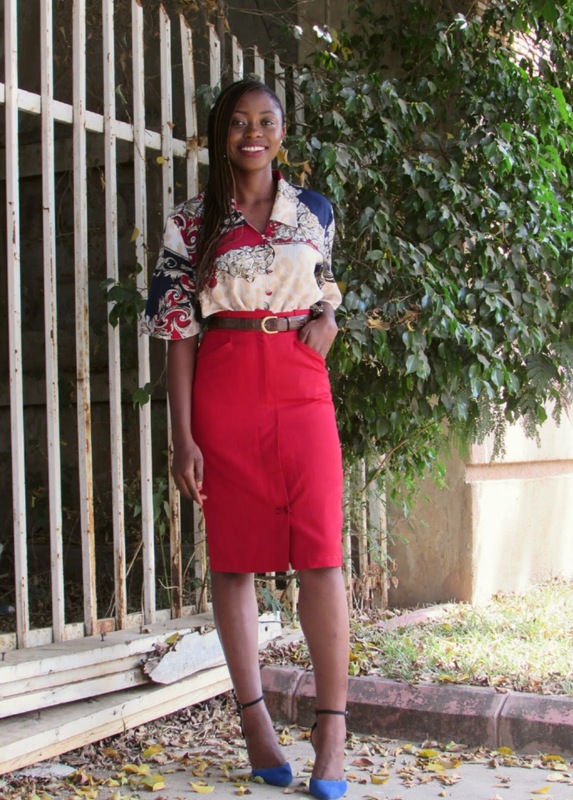 Look who has a little guest on the blog today, I’d like you guys to meet Tee of Diveintomauve. I randomly discovered her blog through Instagram last year. 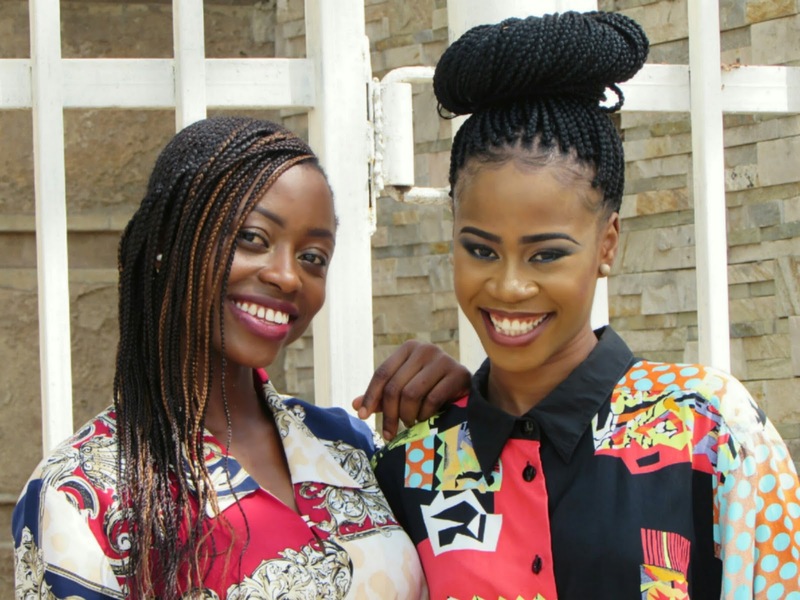 I was fascinated with her stunning picture spots in photography and eye for Ankara pieces. 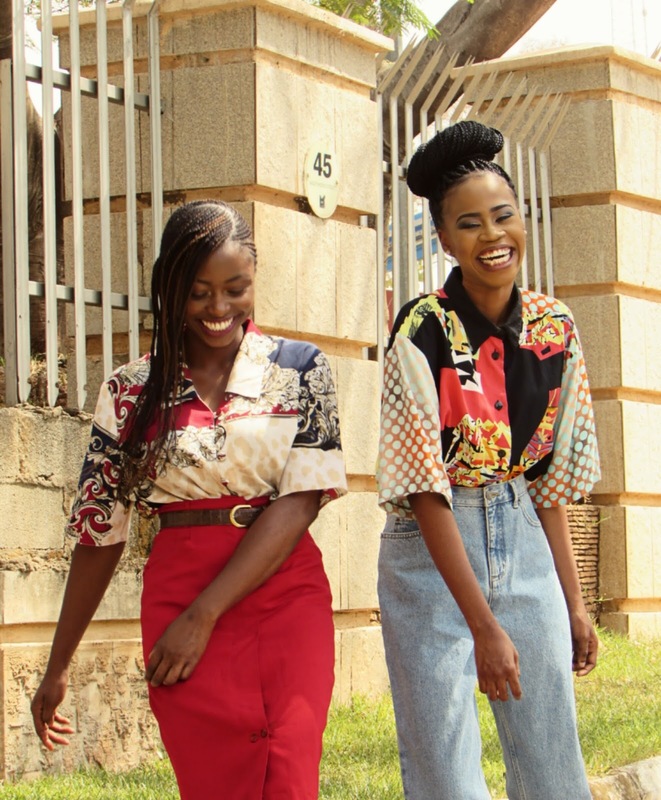 As retro clothing is very much in trend, we decided to explore styling our vintage shirts. You all know how much I Love my vintage clothing. 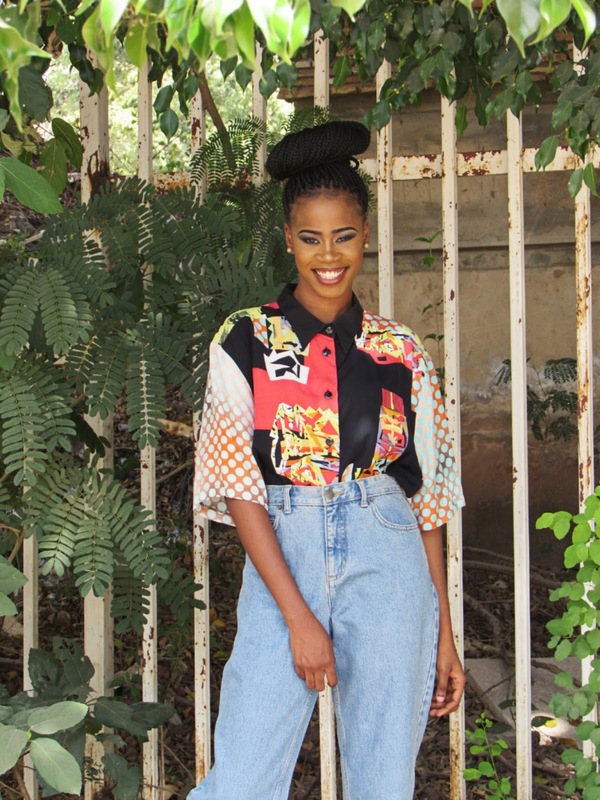 While I opted for a dressier fit with a midi skirt and heels, Tee styled her vintage shirt with a pair of mom jeans and sneakers. With the reboot of the 90s fashion, mother jeans or mom jeans are taking the fashion scene by storm and I recently styled my mom jeans here. 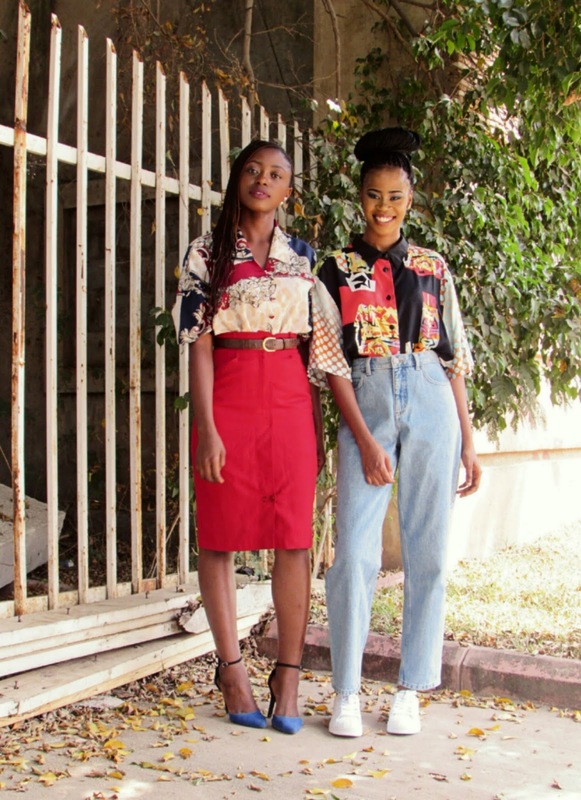 The Vintage Closet 9ja came through for the both of us so check them out. Now we’ve actually been planning this collaboration for a while now and I’m glad we finally did it. Although the guards would not let us be great at our initial picture location, we had quite a good time as is evident in the pictures. For a reserved talkative person like me, we surprisingly hit it off and talked like old friends catching up. One thing I’ve realized in this blogging journey, is the importance of reaching out and working with other people. We really can’t do this alone after all. Be sure to head over to Tee’s Blog for more awesomeness. Love the both looks! Great style! She's so pretty and I love how stylish and chic you styled the shirt! Yeah girl Tee is a fine geh, Thank you. Oh wow! Your looks are interesting. I love the way Tee paired the vintage outfit with those snickers. And I love your midi skirt and heels. Pretty ladies. I love it! You both look urban and fresh. You've definitely given me some retro inspiration. Very cool-kid-esque collaboration. 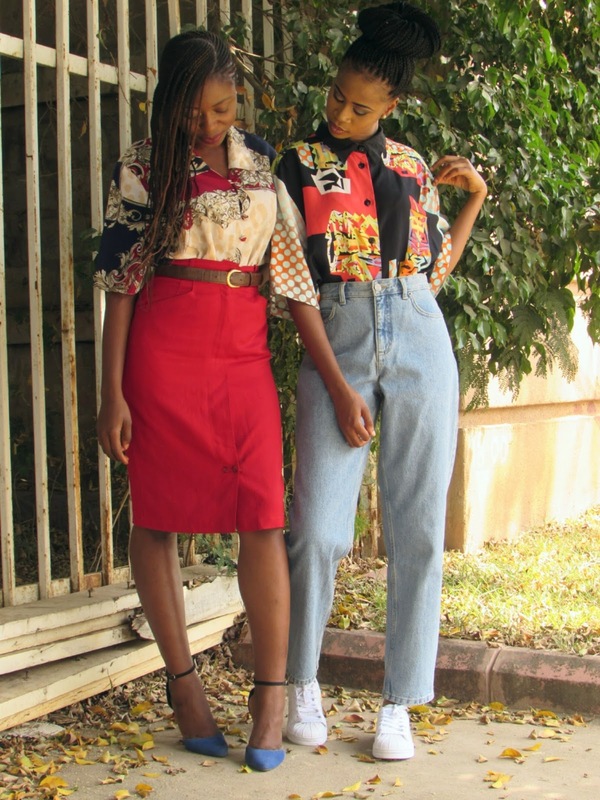 I love how vintagey you and Tee look in this post. And her pants are to die for! I love love this! 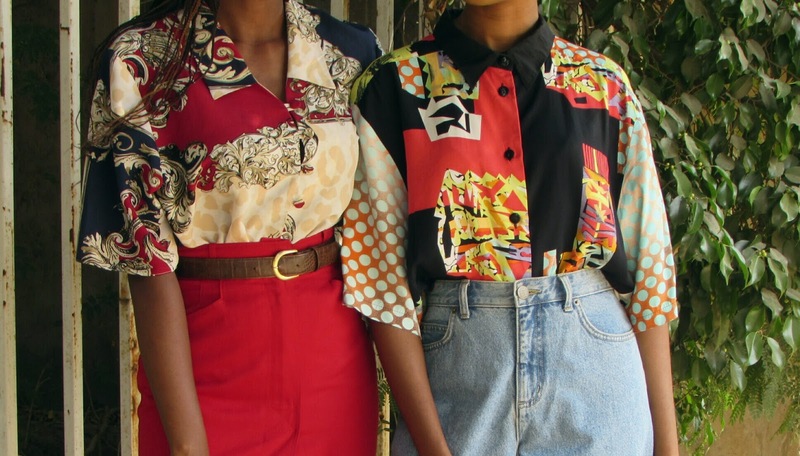 Especially the fact that you both went differently in styling the vintage shirts. 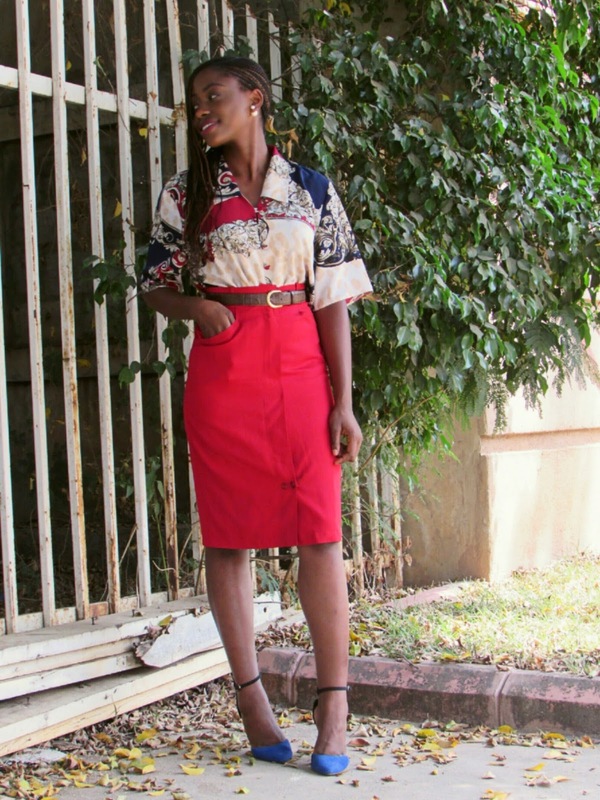 I really love the collar of the shirt and how the belt spiced up the look. Love how consistent you have been this year too, Keep it up!